Swarovski Crystal Shoes- Just The Way You Want! There was a time, when women were happy with simple handbags for their daily, wedding or party uses. Costly ones were only meant for the rich and the famous. However, things have changed in this modern era. Today, you will find many women using costly and elegantly designed handbags on a regular basis. Whether you speak about a Chanel Swarovski crystal handbag or any other top branded product, these have become a common sight in this new age. 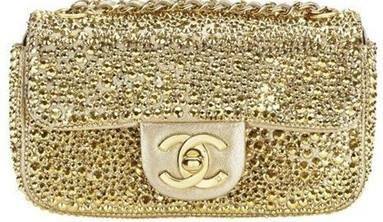 With BLINGA DESIGN you can redo your plain Chanel bag into one of a kind piece of art. 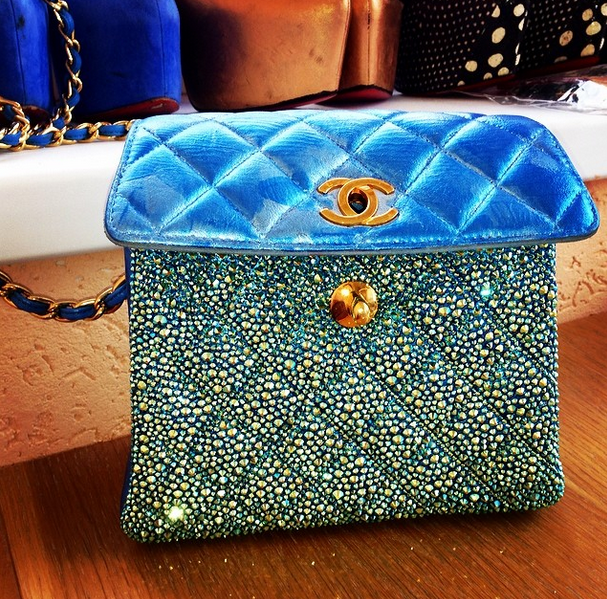 They will custom Strass your bag with thousands of genuine Swarovski crystals. Why paying $18000 at the store for Chanel Swarovski crystal handbag, if you can ask BLINGA DESIGN to make one for you for much less with even higher quality of Strassing. Life can be interesting if you experiment with it. There is a collection bags that includes one for parties, two formals, one to be carried casually. But, don’t you think there must be one more added to the collection that adds bling to your dress and let you shine in the social gatherings and dinner parties. You own a number of Christian Louboutin handbags and thus it is a good idea to get one or two of them strassed to bling. Now, What Actually Strassing Is? Strassing is a technique of crystallizing any of your product, be it bag, shoes, and the process involved embedding luxury crystals which is actually a time taking task. Honestly, you can do this job of your own but only after a good practice and time investment, it can be done with absolutely precision. A normal bag might take 30 hours in strassing (estimate for a complete handbag). Nevertheless, if creativity is used, strass designing for a portion of handbag can be done. Why It is Not a Simple Job? Now, because the job requires so much hard work and attention, it is generally done by professionals in the field. Due to high time investment, the product delivery takes time and you might not find strassing done in bulk. When this job is done with expert hands, a lot of things are taken into strict consideration. For example: The crystals is cut with machine, the size of crystals in maintained, and chemicals are used to get appropriate coloring of the crystals. Blinga Shoe is a service that is dedicated to precise strassing. Let it be your Christian Louboutin handbags or shoes, the special service offered by professional in the field can be availed at best price in the market. Either complete strassing or retouching for the already strassed bags is done with the customization services offered. So, let the world see the bling in you and your handbag with the high quality Swarovski crystals. Perfection is a promise and uncompetitive price is the guarantee with the strassing services offered at Blinga Design, the biggest marketplace to get your bags and shoes crystallized. Christian Louboutin Handbags are the bags kept under French luxurious designer handbag range. These are the exclusive creations of the renowned designer Christian Louboutin. The king of shiny red-lacquered shoes has solidified his place in the world of shoes and the journey continues as production of classy handbags. These super stylish handbags are on the top of priority list of ladies all over the world. It doesn’t matter that which profession you belong to, you will love to have one. All the types of handbags are created by Christian Louboutin include Clutches, Top handles, Shoulder handbags, Crossbody handbags etc. Have you ever found a handbag with silhouette design that looks quite perfect? No, your dream came true in every color and pattern imaginable in the form of these bags. The Sweet Charity is already a choice of celebrities, and the newest line of bags from Christian Louboutin is the Passage. It is available in numerous patterns, fabrics and color ways plus stunning variations of the sleek, curve-handled style (messengerand miniature versions). Passage collection is one for which you have obsessed and decided to get it for your wardrobe. This accessory is a treasure in itself. Christian Louboutin’s handbag —whether used for work or casual usage is one investment accessory you won’t regret. Louboutin combines toughness with glamour in its blush leather handbags. This high end aesthetic product shows sleek and iconic styles of Christian Louboutin’s decadent collection. Sometimes one of bags from the same brand really makes an effective impression of yours to others. 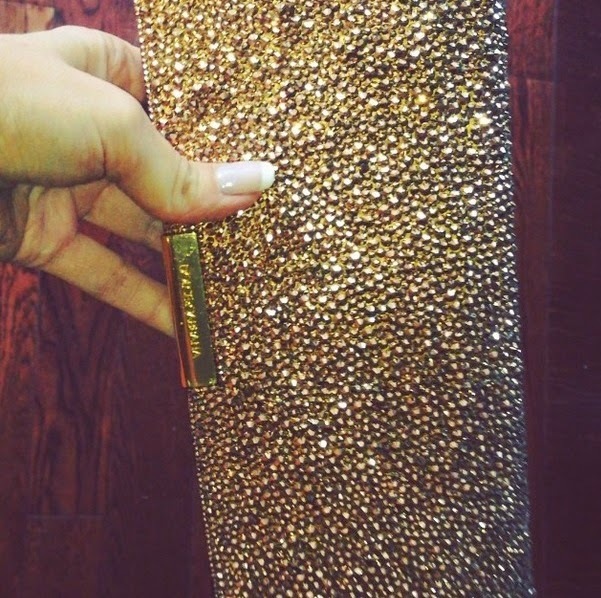 For instance a unique clutch will add style to any conservative or edgy outfit. You will be absolutely and unbelievably in love with this clutch. Christian Louboutin handbags are aesthetic products that will never disappoint you. Women and shopping are closely related. They do not mind spending high amounts on a product that has fascinated them. They have high craze for clothes, shoes, handbags. Every attire they wear they desire to match every accessory and handbag they carry with it. We see a number of ordinary stores and brands coming up with a variety in their handbags styles, design, color and material. We all have heard of custom-made handbags that allow a human to design a bag according to their requirements. These are cheaper in comparison to brands and retail stores hand bag. Along with affordability comes the choice of an individual. Since it is our own design, it is obvious that we would be attracted and make the maximum utilization of the handbag. Christian louboutin handbags specialize is stressing. This is a process that combines women’s love and shine together. It is the use of lint glass as an alternative to gemstone. 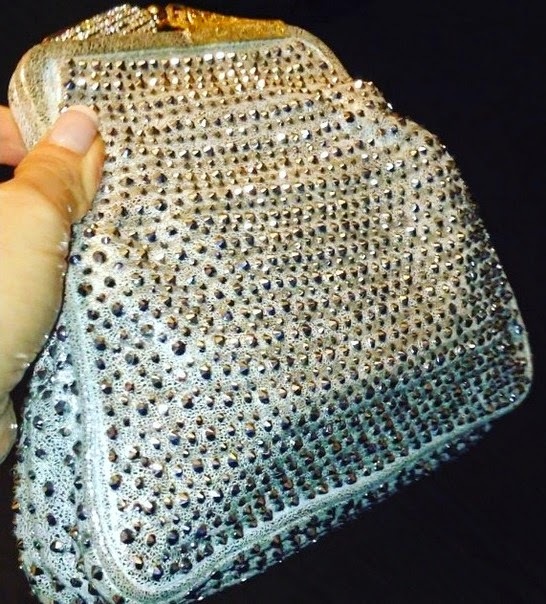 They utilize the finest Swarovski crystal to give your handbag an elegant look. The designs they provide are limited edition and cannot be found elsewhere. They come with a certificate of authentication. You provide them your simple looking handbag and they will redo it and provide you an elegant pair beyond your expectation. 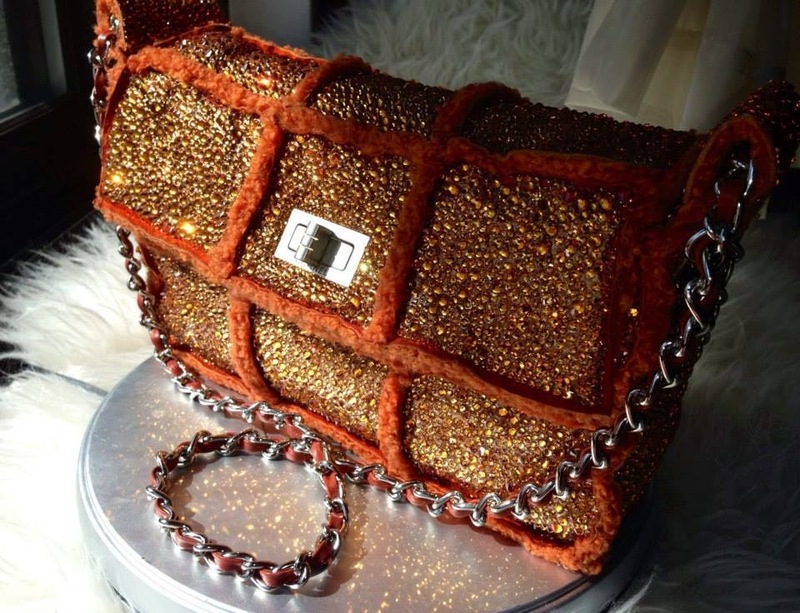 They use a minimum 7000 to 30000 pieces of crystal to redesign your handbag. They are located in New York city but they deal with clients all over the world and assure their customers high quality and craftsmanship. They make you fall in love with their work.